Hello! Nice to meet you! I’m a 26 year old with a passion for painting, advocating for invisible illness awareness and research, gardening, canning my homegrown produce, and trying with every ounce of strength I can muster to get back up again and thrive, despite being knocked down by several chronic illnesses. It’s challenging enough striving to be a happy, well adjusted, and financially stable young adult even in the best of circumstances. Adding in a chronic illness or four will throw a wrench in the works in a way healthy people will never be able to understand. If you’re here because you are also dealing with a difficult diagnosis or a disabling condition that has changed your life, I’m sorry. I know it’s awful, and I believe not only how much you are struggling but also how much you are achieving, every single day, even if all you did was breathe. I hope you’re having a spoon-filled day, but in case you’re not, I’m sending some gentle hugs and good vibes your way. I know what it’s like to run the entire gamut of what is available, and to have treatments fail one-after-the-other. I completely understand how frustrating, isolating, and debilitating chronic pain and chronic illness are, I understand the havoc they wreck on your entire life, your finances and goals, even your ability to focus on basic tasks. It’s a daily struggle not to wear my chronic fatigue, fibromyalgia, trigeminal neuralgia, and anxiety like a big ugly blanket around me. Some days are definitely better than others, but as anyone with a chronic illness understands, “better” does not mean that my pain is actually gone or that I should push myself to my limits and beyond just because I can. So there’s a balance to be struck here, and I have to confess that I haven’t completely found it yet. A semi truck hit my car on my way to work one morning in 2011. My life has not ever been the same. My doctor immediately noted that I had numbness in my hands, blurred vision, and she diagnosed me with myelopathy. I was given the usual advice and treatments and sent on my way to get better and hopefully not bother my doctor any more. I had to take almost two months off of work, could barely climb stairs or read a full page of text, random parts of my body hurt like they had never hurt ever before. I didn’t think much of it, but did notice that my neck pain was not really improving and I was having flares of low back pain, so I began asking my doctor what could be wrong. From that point on, every day, it was something with me. I was so frustrated. I was doing my best to follow all the conventionally recommended lifestyle changes to heal myself as fast as possible, practicing yoga twice a day, doing all my physical therapy exercises and attending two to three physical therapy sessions a week that lasted about 2 1/2 hours each. I had no idea what was happening to me at all. For two years I struggled to keep my regular life, as I got sicker and sicker. No one had any answers for me, I went from neurologist to neurosurgeon to pain clinic to pain clinic. Finally, I was sent to the local teaching hospital, and it was made clear to me why I could not outrun this pain or beat it. After two years, almost to the day from my car accident, I had finally found out that I have fibromyalgia. My first thoughts after I was finally diagnosed with severe fibro were that I should be able to get this disease into remission, after all, I’m too young to have “real” chronic pain. I had gotten through some rough times before, and this should not be any different. I believed in my ability to recover from fibro through physical therapy, diet, and practicing yoga. I believed in my ability to go on to work again, within a year or so was my hope. I should be able to power through the fatigue, pain, and brain fog to live a normal life, end of story. Except, in the last year I have been in more pain than ever before. I have had more and more bizarre symptoms crop up out of the blue, and been diagnosed with a host of co-morbid conditions, some that I have had since birth, like Spina Bifida Occulta, and some which I have just developed recently, such as M.E. or myalgic encephalomyeltitis / chronic fatigue syndrome. Researching these new conditions, trying new medications, and going to doctor appointments became my life for a while. I even stopped painting, and have yet to fully get back into it. That is where my blog comes in. The warmth of online support has unfrozen my life for the first time in over a year. I have met many new friends online, complete strangers have helped me in ways that have changed my life forever, and I have learned so much invaluable information about my conditions. My hope is that by writing honestly and openly about my journey to acceptance it will assist myself and others to recover the pieces that were lost along the way. Sometimes the most honest thing I can do is complain. Sometimes I am emotional and vulnerable and frustrated. Being ill is extremely messy. It would be unfair for me to pretend like I don’t experience both the highs and the lows of learning to live with limitations, and it doesn’t help others going through the same situation to read a falsely upbeat account of chronic pain. That said, I am not here just to moan and whine! I am learning to be involved and invested in the chronic illness community in a positive way, without wearing the conditions I have and the pain I am in like they are a substitute for the real me. Welcome, and although I’m sorry we had to meet like this, it is miles better to have friends going through the same things than to be going down the chronic illness rabbit hole alone. Thanks for visiting, and I look forward to hearing how you have journeyed through the difficulties and pain, and all the victories you have achieved in spite of your chronic illness. Thank you for sharing your journey. I’m new to the blogging, but I’m not unfamiliar with writing down the tough stuff. While therapeutic, it’s also quite difficult to reach in and grab it to share. Thank you for your courage. And since you are a Spoonie creative soul, I want to invite you to a facebook group I belong to: Chronically Inspired. For sharing creative works that help us cope with our visible and invisible struggles. Thank you! I went straight over to the facebook group to join, I really appreciate the invite! I dunno about courage, but double thank you! *blush* I’ve been on a mission to prove that honesty about illness is not negativity, even if the experiences are often negative. I always learn something about myself in the midst of my worst flare ups and darkest depression spirals. There’s gotta be some healing in sharing the bad, the good, and the “I’m not even sure how to feel” moments all together. Thank you so much for following my blog, your writing is so witty and brilliant, I really am blushing! 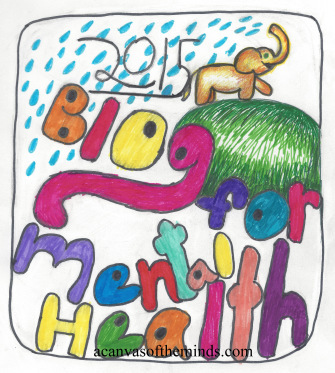 I love that you say “being honest about illness is not negativity.” I feel that so much! How else will we ever spread awareness if we constantly hide our challenges from everyone we know? Wonderful. I love your plight. 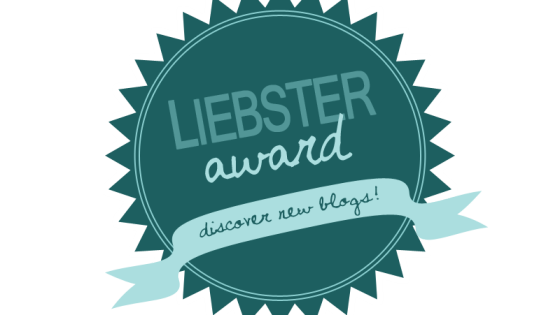 I have nominated you for a Liebster Award for new bloggers! Congratulations!!! 🙂 🙂 I’m so glad we started blogging around the same time and found one another. I think your page is an inspiration. Go check out your nomination! Thanks for stopping by and your follow as well! Chronic pain certainly has its ups and some definite downs, but meeting new people is what keeps invisible illness from feeling like a prison sentence. I wouldn’t trade the lovely people I meet via blogging for anything! 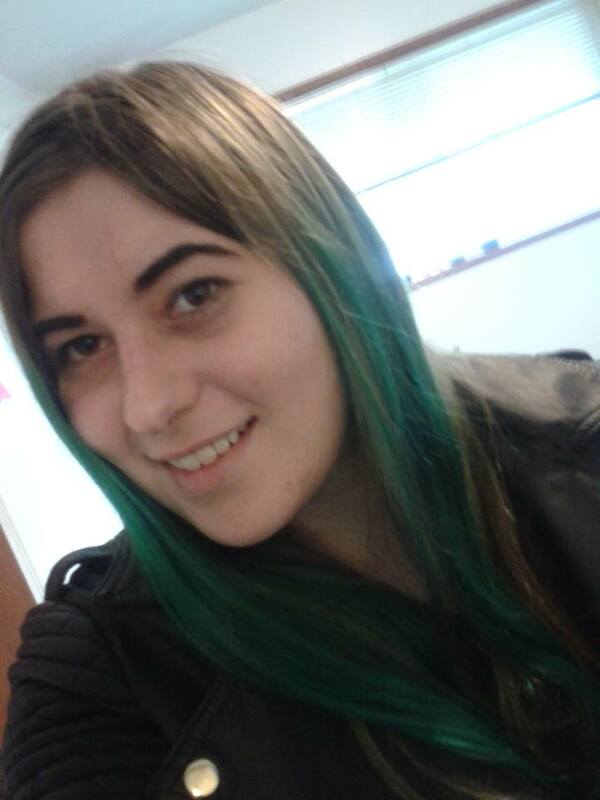 Jessi, I’ve nominated you for an Encouraging Thunder Award – hope you’ll accept it! Only thing is I can’t make your link work. All I’ve done is copy it from the address bar, but for some bizarre reason it clicks through to a page that says it doesn’t exist. It may just be because I got so stuck doing it (my iPad doesn’t like the WP editor v much, and the cursor jumps all over the place if I try to use any editor commands from the toolbar) that it was 5am when I gave up and I literally couldn’t see straight. Do you know your URL? Where the hell is it, if not in the address bar? Thank you so much, my dear!!! I will absolutely accept and I really appreciate you reaching out to me in such a kind way. ❤ As for my URL it should just be the standard https://findingoutfibro.wordpress.com/ I think! If that doesn't work let me know, because that would mean something weird is going on from my end and I should definitely try and fix it if that's the case! Again, thank you so much, I couldn't be more thrilled, I don't know how I got so distracted for three days, but I totally meant to reply right away! No, something weird going on with the addresses, all of which I know are correct. Can’t work out if it’s my end or WP’s end, but yours clicks through from my followers list, just not when it’s written up, not even as the address you’ve given here (I tried it with and without the “out”) I gave up in the end! I figured it out by copy and pasting the post you wrote into my editor, which for some reason it saved all your links, so even though you spelled it out correctly how it’s displayed, you unfortunately still have to go to the little paperclip where you add the destination of the link, and change that address as well. Hopefully that will clear it up. I was trying to crack the code for why it isn’t working on mine, but I will check the others and see if I can’t figure out why they aren’t working. Trouble is I’m not able to use any of the toolbar commands (like the paperclip) without my cursor leaping about like an epileptic kangaroo, which means I get stuff inserted where I don’t intend it to be. Then my copy-paste option vanishes and it was a nightmare of several hours’ (literally) trying to reposition everything in a logical order. 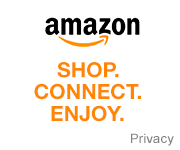 I ended up using the Add Media button to get the addresses to show as links. Worked with two of them, didn’t work with the other three, so I added the blog names as well, to direct readers to those blogs. Ah, yeah, I have an Android tablet and it works great with the WP app, but I usually do my writing on the regular PC because of how much those unpredictable commands and weird little tricks and tips I don’t know about my tablet yet can delete an entire post in two second while I’m writing it, no way to get it back. 😦 Worst. Feeling. I hope you have an easier time with links in the future!!! Sorry you had to spend so much time being driven insane by one part of WP. Happens to me all the time that I just can’t figure out one tiny thing, to be honest, but having the cursor jump around everywhere sounds maddening!! !